After smogging up the world with its cheating diesels, Volkswagen said—in the most obvious statement ever—that it’d cut back on oil-burners in the U.S., leaving a void in the market. 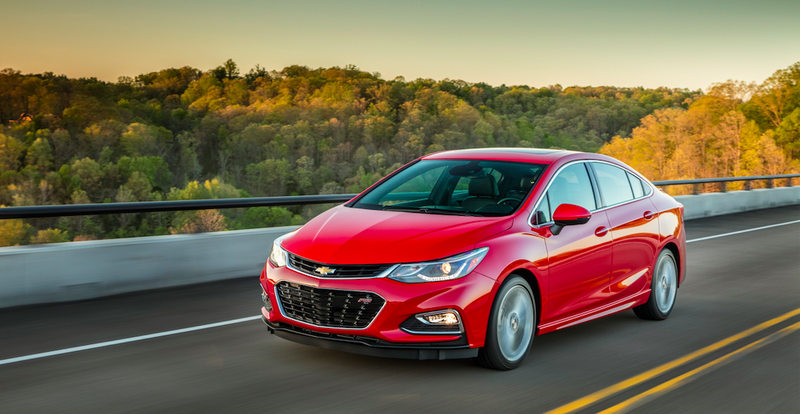 Now Chevrolet tells Automotive News the car company will jump in with its Cruze diesel, non-cheatingly (presumably, anyway) stomping on a severely wounded VW and stealing its sweet, sweet diesel sales. The VW Group right now is down for the count, dealing with a massive $14.7 billion settlement and some serious brand damage. So the company is going to reduce the role of diesels in its U.S. portfolio, giving other companies the perfect opportunity to steal former VW TDI owners. I am very optimistic about the diesel market in the U.S. It has been abandoned by others and we are happy to step in and be the leader. Frankly that’s what we’d like to do . There are a lot of diesel intenders and diesel-loyal people who are looking for a brand and vehicles to go after...they tend to be more tech savvy than the average customer. And they won’t stop wishing for a diesel. And we’ll go after those customers. Chevy offered a Cruze diesel in the U.S. market for the 2014 and 2015, though you’ll be hard-pressed to find one on the streets. They were only released in limited numbers. These statements from GM’s VP seem to indicate GM might take the Cruze diesel a bit more seriously this time around. And that move from GM would make a lot of sense; 20 percent of VW’s sales were from TDI models, and those diesel-loyal customers are going to miss that torque and fuel economy. So for all you weeping, betrayed VW TDI owners looking for comfort: Chevy will be your shoulder to cry on. Thanks to them, you don’t have to buy that giant pickup truck to get that diesel-y goodness you deserve; the Chevy Cruze will be waiting for you and your hard-earned dollars with its 1.6-liter, 275 lb-ft inline-four. Clever move, Chevy. Clever move. But is diesel too damaged by VW to succeed in America? We’ll soon find out.